1. steel plate machine frame , starting stable. 3. it is controlled by inverter. 4. it use heat-sealing & cold-cutting equipment. 5. it is high efficiency, so save time and power. 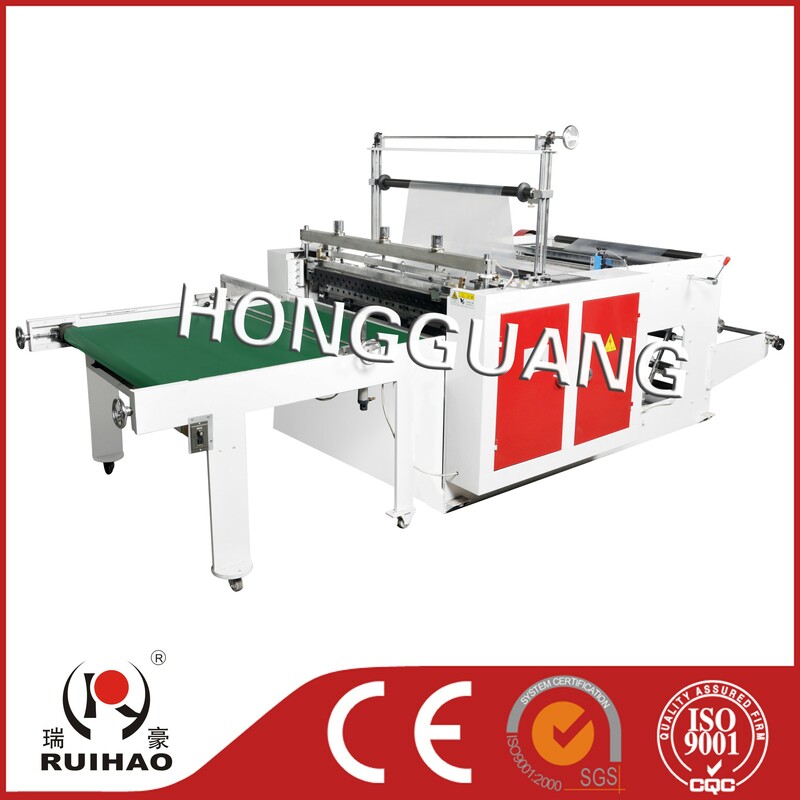 6. it is a ideal machine to produce non-printing bag , printing bag ,flat bag ,etc. This type bag making machine is main for plastic heavy bag. It is special design without control bottom sealing bag making machine, with servo motor to feeding, sealing bag with new type heating wire, which can make heat quickly and save power etc. From film roller to finished bag , it can shaped by one time.